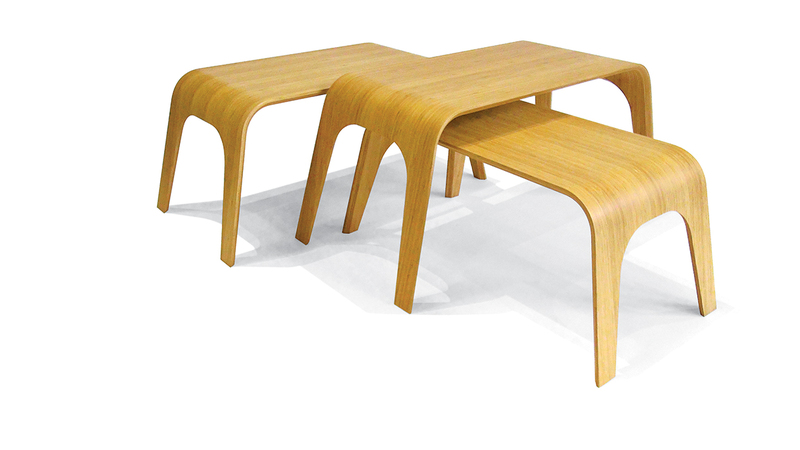 Armen Sevada Gharabegian has recently produced these stacking tables, which are crafted from bent Japanese bamboo. 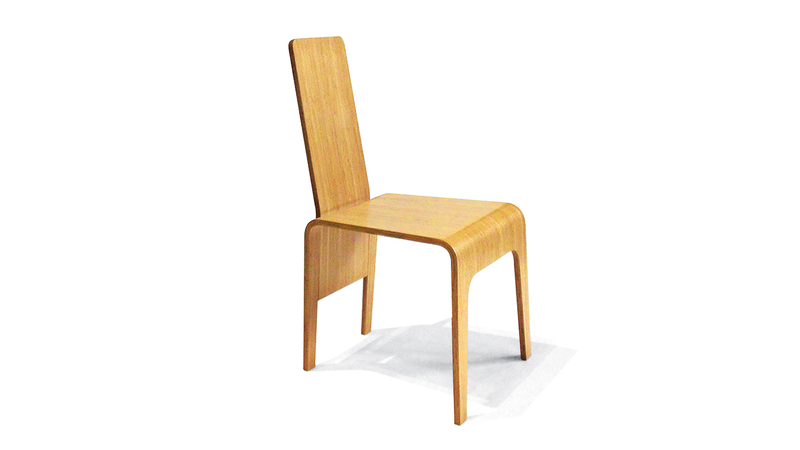 The Nara chair features a back that slides into place. 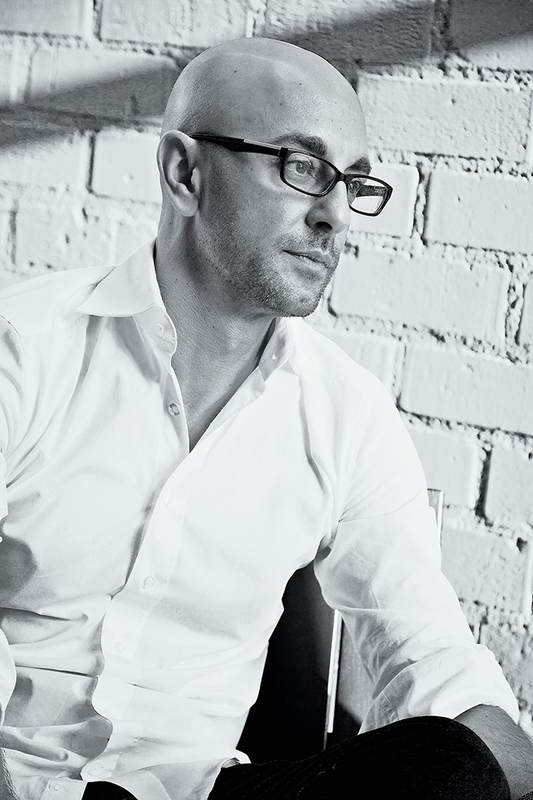 American manufacturing is at the heart of Armen Sevada Gharabegian’s furniture and design studios. Sometimes the material selection process is a natural transition from the object that is being designed, and other times it is more of a random exploration. When designing a particular object that needs to support the body, such as a chair, the attributes of specific materials are very important—strength, flexibility, malleability. It’s crucial for all industrial designers and architects to have a physical experience with materials. Specific forms command their own types of materials. I don’t believe in forcing materials to do unusual things. Design is a process; I see it as a never-ending series of explorations with “pauses” in between. These pauses are where objects and ideas are materialized. If a designer creates an idea and does not immerse him or herself in the fabrication process, he or she cannot understand the possibilities and impossibilities of his or her work. Processes themselves are a great inspiration. Being a Los Angeles resident and an Art Center College of Design graduate, I’ve had the privilege of working with many incredible artisans and vendors in the L.A. area. It has baffled me for years why, with the great resources and talent we have in Southern California, we don’t produce more here. Sometimes designing and manufacturing products locally feels like we are swimming upstream. Little by little, vendors close their facilities in Los Angeles and elsewhere in the United States and succumb to exported products. It is important for me to rekindle a faith in American products. It is my dream to see U.S. products, especially high-end furniture, sold around the world carrying the tag “Made in the USA.” We have a quality manufacturing tradition that we should continue.